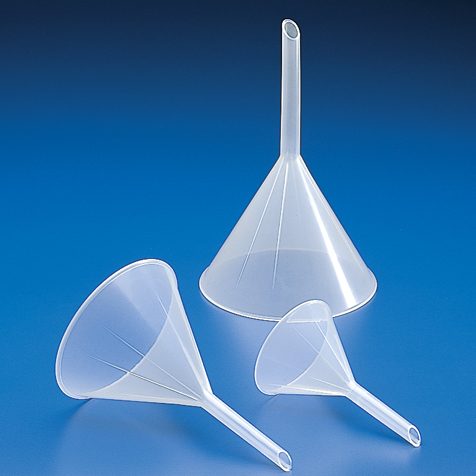 These heavy-duty polypropylene (PP) analytical funnels are perfect for use in Analytical Chemistry applications. The funels feature long, narrow stems, which make them ideal for use with liquids. The analytical funnels have internal and external ribbing which helps to prevent air lock. They are angled at exactly 60° for rapid filtration. Available in 9 different sizes, these analytical funnels accommodate standard filter paper sizes and are approved for use with food products.